Supervising Hazardous Materials Specialist Kristen Riegel with the County’s Office of the Fire Marshal was honored Thursday night for her role in a project that led to a reduction in fees for many county businesses. Riegel was recognized during the Inland Empire Economic Partnership’s Second Annual Red Tape to Red Carpet Awards Reception as the runner up in the Leadership Award for Public Service Category. The IEEP’s mission includes improving the overall quality of life in the Inland Empire through education, transportation, health care, communication, and raising the standard of living in the region. 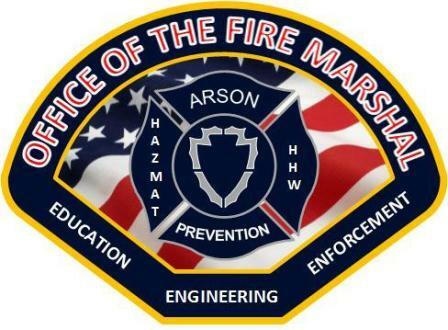 Riegel was recognized for leading a team of Hazardous Materials Specialists in completely revamping the Fire Marshal’s fee structure. One new component of the fee structure was based on risk. As a result, approximately 20 percent of regulated businesses in San Bernardino County received a reduction in their fees because they generate low amounts of toxic waste while storing small numbers of hazardous materials. These small businesses experienced the most economic benefit. Riegel’s efforts embody the County’s job of creating a county in which those who reside and invest can prosper and achieve well-being and the Countywide Vision’s goal of establishing San Bernardino County as a model in the state where local government, regulatory agencies and communities are truly business-friendly.